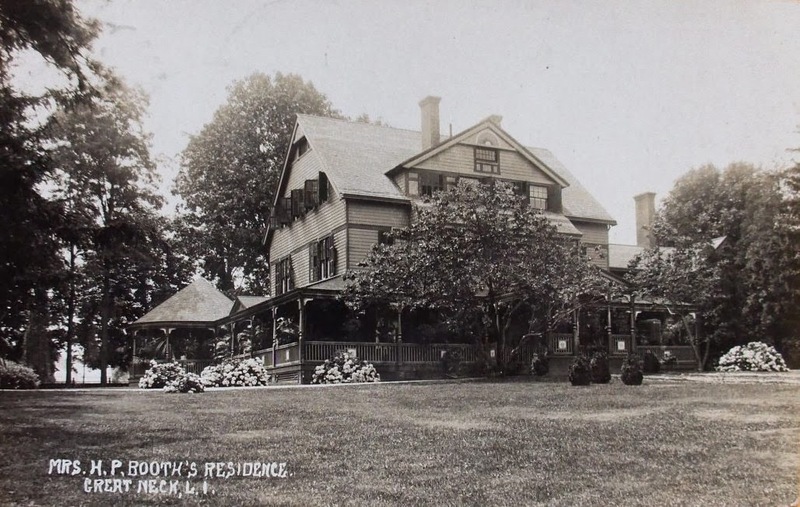 The Angeline Rowan Booth residence in Great Neck. Booth would go on to build 'Broadlawns', click HERE for more. It is unknown if this house is extant. 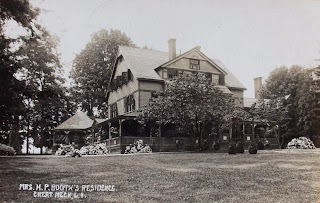 It's pretty clear looking through the photographs in the Great Neck Library collection that 'Broadlawns' actually incorporates this very pleasant and commodious old house. One finds the evidence comparing various photographs of the two, including the porch with its turret reconstituted with classical details, and some identical features in the service wing. Always fascinating, to peel back the layers.